You have finalised your travelling arrangements to travel overseas either for a vacation or a business trip. You have studied guidebooks, you have researched about the city you are traveling, you have looked up places you might be visiting. Your next line of concern is money, exchange rates in Melbourne. With the global economy now, one needs to be a frugal spender in a foreign land and it starts with getting the best exchange rates because the conversion rate of these currencies can affect the cost of your trip. Where to find the best currency exchange rates in Melbourne? Luckily for you, you don’t need to look further than Danesh exchange located in Melbourne. 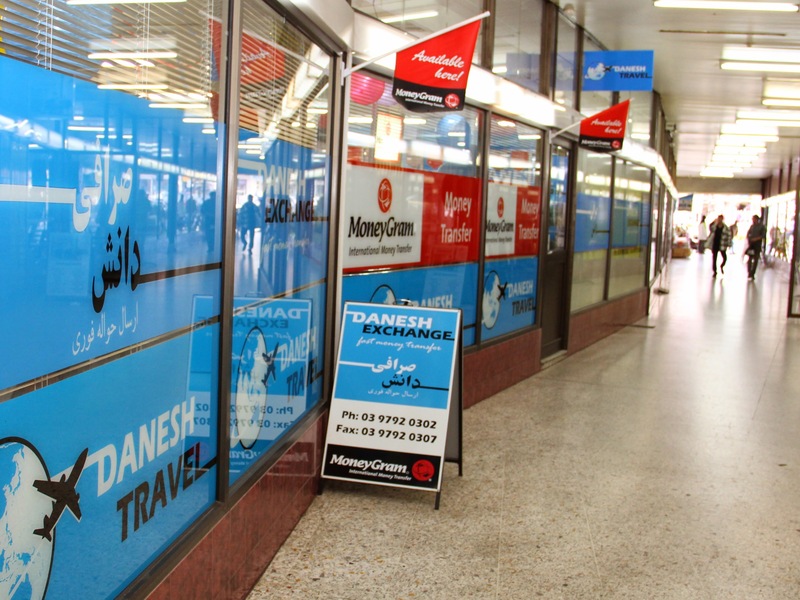 Danesh Currency Exchange is a registered, specialized currency exchange specialists that provides best currency exchange rate when buying or selling foreign currency in Melbourne aswell top class service for sending and receiving money worldwide. They are quite experienced in the industry as they have existed as far back as 2001. They hold expertise in providing world-class foreign currency exchange and international money transfer services in full swing. Through their undiluted commitment to making a difference as a currency specialists , you can easily get your foreign currency converted into Australian dollars or Australian dollar into any foreign currency of your choice. Their exchange rate is highly competitive and second to none as they offer the best exchange rate in the city of Melbourne. Asides offering a better rate, they have no commission OR fees for their services, they make it a point to offer their clients a safe, secure, flexible and confidential transaction. Unlike most competitors, they have all denominations and have unlimited stock of various currencies, ranging from USD, GBP, EURO, JPY, SGD, NZD, CAD, FJD, IDR to mention a few. Foreign currency exchange has now become more feasible and easy through their professionalism and dedication to their services. Danesh exchange offers $0 commission or fees when changing currencies. They save you the stress and time of running around in the city wasting petrol, paying parking fees looking for the best exchange rate, let us do the run around for you. They also have the best rate for students, pensioners, and travel groups; their own way of contributing to humanity plus 65+ currencies is always in stock. So if you ever find yourself in Melbourne and need a swift, cost-effective, better rates currency conversion call 03 8753 7579.